Since I last shared regarding the Bugera 1960 Infinium price increase new and nice developments have occurred. Guitar Center / Musicians Friend rolled back their pricing to last year retail. I have to admit, I pulled the trigger and expect the 1960 to arrive near my birthday. Does MarinerSoftware.com actually have any employees? I am saddened to report that Mariner Software has officially left me without any support on a new product PERIOD. My first purchase from Mariner Software I date at around 2002, I have been a customer for 16 plus years. As I had previously mentioned I was having issues with journaling software I have used daily for some time, the now infamous MacJournal. I purchased their iOS MacJournal app around a month ago. When I decided to sync it up with my MacBook’s MacJournal it quickly turned into a train wreck. Not only did the Journals not import from iOS it deleted many entries on the MacBook. I use this software for everything from Personal Journals, Blog entries, to do lists etc. It actually worked very well for that for many years and I was a very happy client. I email Mariner support from their website and say Yo mates WTH? They actually respond “Yeah the developer tried to make that sync work with drop box a while ago here’s a KB.” I respond I’m more concerned with the Journals that I lost during the sync, can we work that problem please? Crickets, nothing. I respond several times via email asking for an update, no returned message. This goes on for weeks. I was so unhappy with being shut out of any help for weeks I finally did something i’ve never ever done before, I flamed them on social media. I really disliked doing that. I’ve never purchased software from a well known vendor that dropped off the face of the earth like Mariner Software has. I really didn’t know what to do, I’ve never had any trouble with support in 16 years. Mariner Software advises “we sent that on to the developer some time ago, we will send this again.” That was 6 days ago, no response at all. 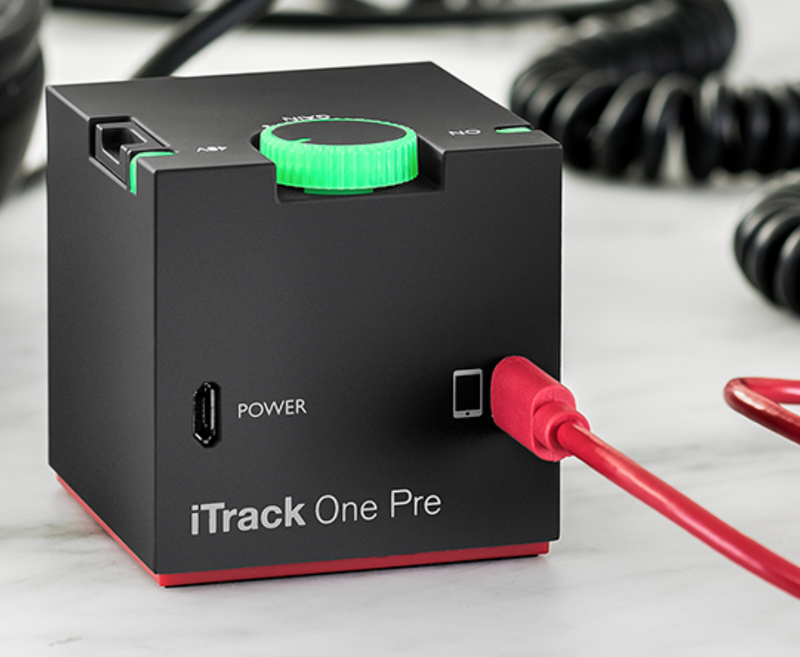 This week Focusrite launched iTrack One Pre for iOS. This is a cool looking micro single Microphone pre-amp and D 2 A converter. So small is the iTrack One Pre you could record with it anywhere. One of the features touted by Focusrite is the phantom power for any condenser microphone can be run off the iOS devices battery. I know I’m skeptical here but some condenser microphones soak a lot of power. 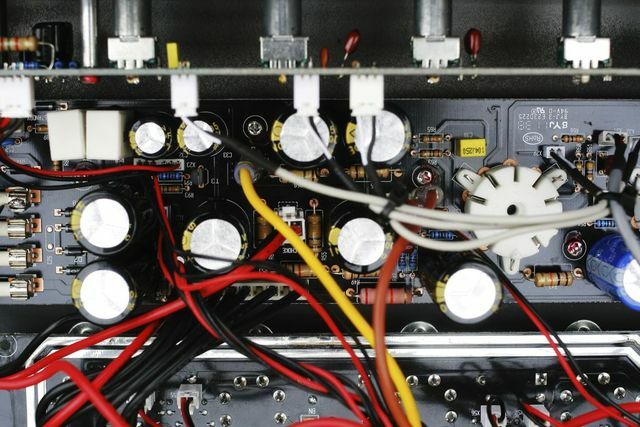 I have a Neuman TLM 103 that pulls so much power it will only work on my P-Solo Pre. I can see certain microphones draining the iOS device battery very quickly. The preamp in iTrack One Pre lets you capture clear recordings of vocals and acoustic instruments directly into Garageband and other iOS apps. The right recording level is set via the illuminated gain halo. With a micro-suction base, iTrack One Pre will stick on any flat surface without moving. 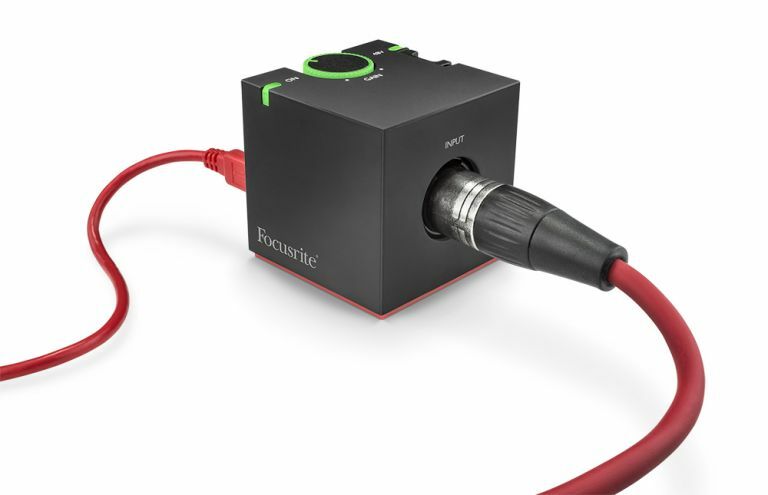 Focusrite’s iTrack One Pre generates phantom power from iPhones and iPads, so you can record with professional condenser microphones. The high-headroom guitar input will capture every element of tone and playing style without any clipping or unwanted distortion. Officially Apple certified, iTrack One Pre works perfectly with iOS devices up to and including iPhone 6s, and music making apps including Novation’s iOS app Blocs Wave. The one change I would like to see changed in the next form factor is a headphone jack. Apple is removing them which would make this item useless with my iPhone 7 plus. The new lightening connector head buds from Apple will work on any iOS 10 device. This indicates a standard that I assume will part of the new iPad launch this month. I suspect if a headphone jack is added to the iTrack One Pro I will own one. I think the design is a really good idea. The iTrack One Pro is available now for $129.99 US. I’ve had some time to work with Drum Session in a few environments. This app really sounds great, far better than anything else I’ve tried. I’ve used it with Cubasis, Auria Pro and the newcomer Audio Evolution which I’m really liking. I have primarily used inter-app audio thus far. There are some things I’ve found in these last few months both positive and negative. Since the samples in Drum Session are top notch, most of my experience is positive. I’ve been keeping an eye on Derricks FaceBook page. He’s posted some images of the reworked UI and ta video clip upcoming iPhone version of Drum Session. Inter app audio has not been solid, however I think this likely has nothing to do with the Drum Session app. It works the best with Cubasis but crashes with Auria Pro and Audio Evolution Mobile. There’s also a few instances of buggy behavior. More than likely these would be feature requests. The video is lacking because I’m holding my iPhone sorry about that. Note the loop settings and the different Drum kit was not saved to the file although, the kit and loop were present when toggling from song to song. It’s only when you close out the Drum Session app that the changes disappear. These would be features I would think everyone would use and would be a part of the original release. For all I know this could just be my iPad. Derek Buddemeyer the developer for Drum Session has been really good about stopping in once in a while. Maybe he can comment on these feature requests. This looks fantastic! Very easy to read and much more so the look and feel of a traditional DAW. I am waiting patiently for the next release, I believe this release will be a big step forward for Drum Session. As I had eluded to previously I was using inter app audio for most of the work I’ve done so far with Drum Session. IMHO inter app audio still has a ways to go but I’m grateful it’s being developed. I’ve moved everything over for the track I am working on into the DAW with Audio Share. I really like Audio Evolution Pro as a DAW but it’s still very new to iOS. Inter app audio is not very tight on Audio Evolution Pro or Auria Pro. It’s solid on Cubasis but I find the Cubasis UI difficult to work with. I give Drum Session a Solid 4.5 stars. There’s a few things that need improvement, but at the end of the day for me it’s all about how good it sounds. I must admit I have not had the time to dive deep into drum Session, but I’ve put some good solid 2 hours into going through the UI and mostly listening. I just took a new position that I am so ecstatic to have, it’s a perfect fit for me. In my defense, the hours I’m spending at the day gig are long. Usually, I would be all over a great app like Drum Session. 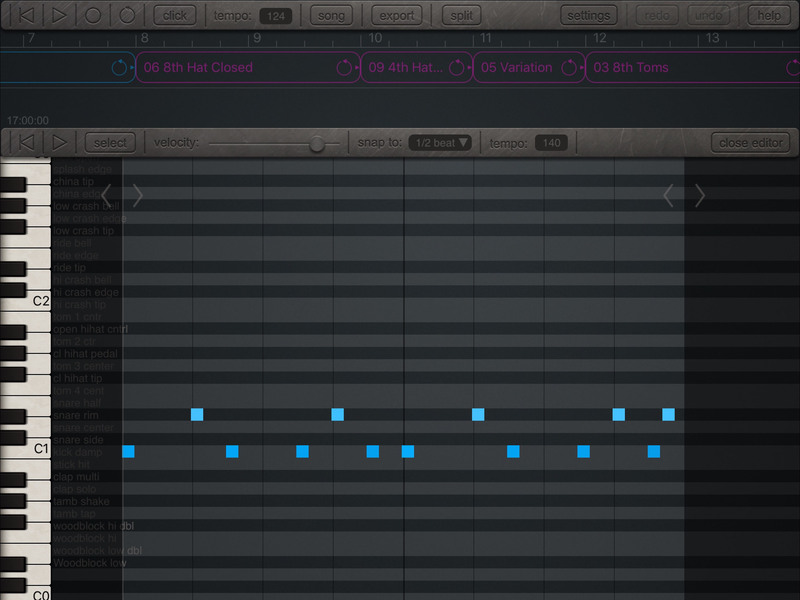 The MIDI piano roll portion of the UI is very solid. The piano roll was updated in the Version 1.0.3 release today, but I’m still running the original version. I think it’s solid! I haven’t updated the app yet to V 1.0.3, I wanted to finish this blog before I had scrum release blues opinions. There is a plethora of drum kits in Drum Session. This is great because most of the samples are mixed with different reverb and compression levels. However most have a reasonably dry mix for each kit. That is really a feature I like A LOT! Drum Session sounds so much better that any app I have heard since launching my iOS music creation experiment in March of this year. This is the KILLER Drum app I have been waiting for. There’s a lot of choice for $24.99. It’s scalable for the price, It’s scalable for sound, It’s scalable for custom beat creating when you can compare to other apps available. That’s a huge value add for me. The only feature request I have for you Derick Buddemyer if you read this is the font color in the UI. I’m not sure if this is because I am using the 12.9” screen of the iPad pro, but the dark font color against the dark grey background is difficult to see on the top buttons and the black piano keys of the UI. That’s the only feature enhancement I can suggest. After 2 hours, I love this app and I think many others will too!